Got caught in a downpour just as you were heading home? No big deal. 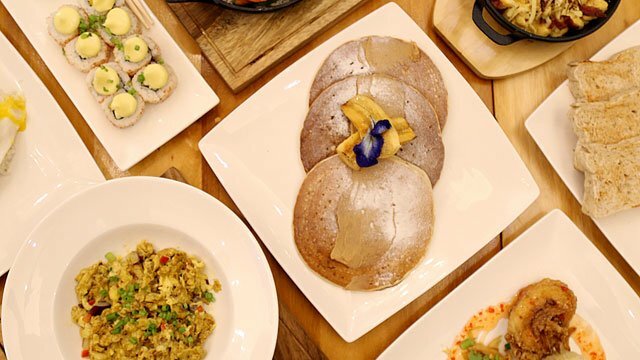 (SPOT.ph) Makati is one of those rare areas in the Metro that has everything: there are malls for every retail whim, restaurants for all your food craving, hotels for quick staycations, and even patches of green for when you want to do a quick jog or just enjoy the outdoors. Whether you’re a visitor or a resident, it’s easy to find something to do in Makati. Once the dreaded rain starts pouring though, you can get stuck there for quite a while. The nightly rush hour traffic doesn’t help, either. Thankfully, this bustling city is also home to Eton Tower Makati, a high-rise that's conveniently accessible via the Dela Rosa Walkway. Located at the corner of VA Rufino and Dela Rosa streets in Legazpi Village, the mixed-use development offers plenty of activities that will keep you occupied for hours. 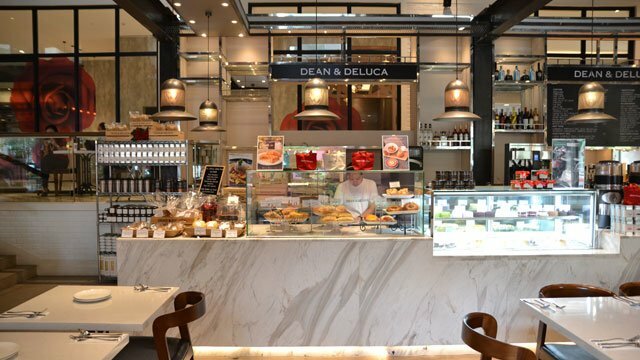 If you’re in need of some serious me-time, head to the IG-worthy Dean and Deluca on the first floor. The gourmet deli and grocery hybrid serves specialty coffee and hot dishes, and also sells imported food products. Looking for more variety? 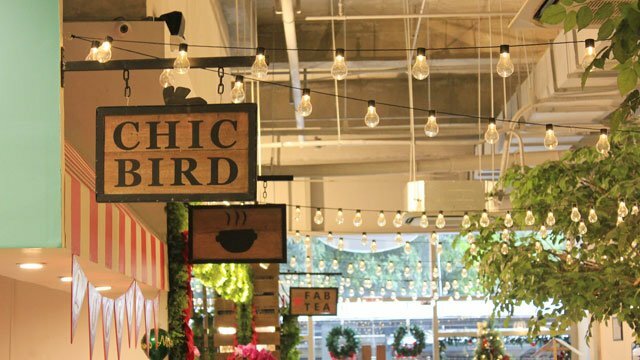 Swing by the nearby Picnic, a mini-foodcourt that houses five to six stalls that offer a variety of cuisines. If you’re on the lookout for something different, head to The Morning After, an all-day breakfast joint. Don’t miss the chance to try their Breakfasts of the World, a best-seller offering that lets curious and hungry foodies try signature breakfast dishes from around the world. 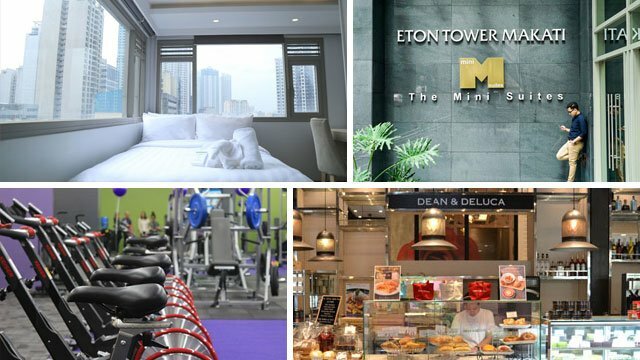 Of course, there’s more to Eton Tower Makati than just restaurants. 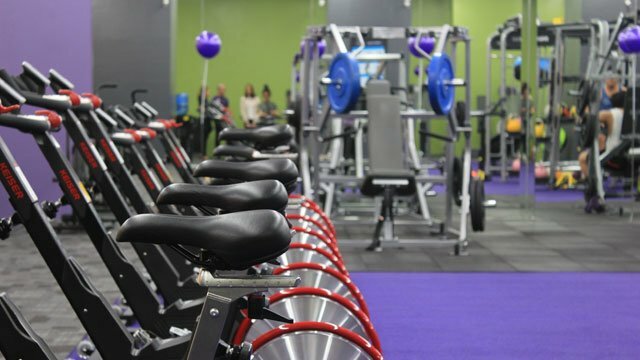 For avid gym buffs, go up to the Anytime Fitness branch on the second floor. It allows members 24/7 access, which is convenient if you happen to be stuck in the area during odd hours of the day. In the mood to get primped and pampered instead? 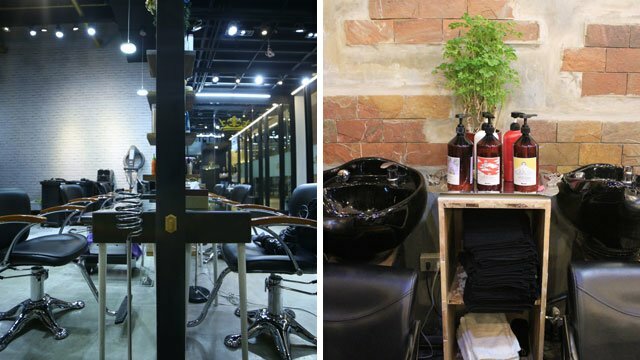 There are also salons and barbershops like Empire Salon and Lourd’s High Chair. They even have something for folks who work in Makati and understand the struggle of commuting, especially when it suddenly rains. 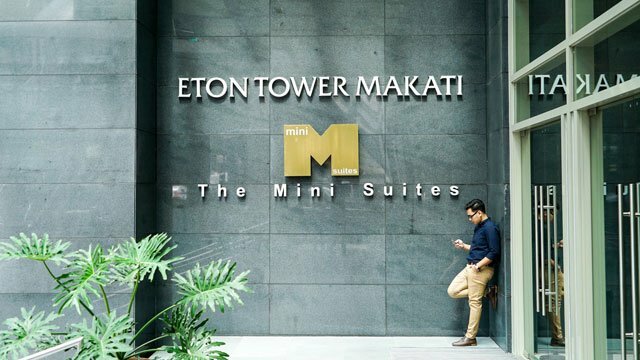 Eton Tower Makati offers The Mini Suites, serviced residences that span seven floors with 368 rooms. The suites are affordable yet luxurious options for those times you have to stay the night. The Mini Suites come with modern amenities, including free 24/7 WiFi, LED TVs with cable channels, private baths with toiletries, and furnished air-conditioned rooms. You also get access to a fully-equipped gym, a mini-boardroom for sudden meetings, outdoor gardens, and more. Best of all, the location is safe, secure, and just a stone’s throw away from the rest that Makati has to offer. Eton Tower Makati is also home to Motorino NY Slice, The Pigpen, Bo's Coffee, Coldstone Creamery, Fry & Bake, Karada, Moshi Koshi, Sarabia Optical, and Big Chill. It is located at 128 VA Rufino corner Dela Rosa Street, Legazpi Village, Makati City. Find out more about it on Facebook. This article was created by Summit Storylabs in partnership with Eton Tower Makati.